Data ribbonb makes connection a delicate affair. It's lined up to the neck with useful utilities. 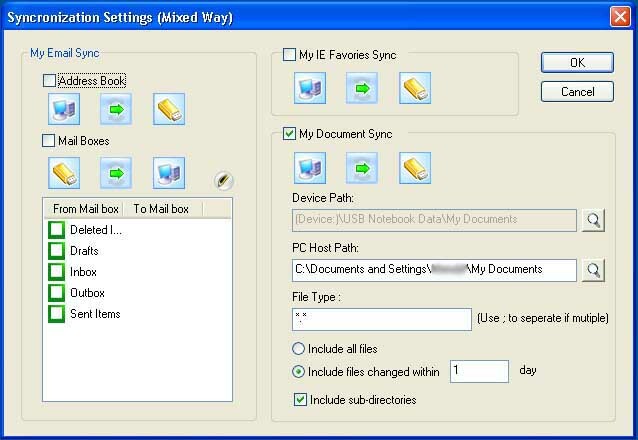 Synchronize documents and Emails quickly. Floppy disks are a thing of the past; you only have to take a quick glance at any flash drive to comprehend the swift demise of the once omnipresent storage media. 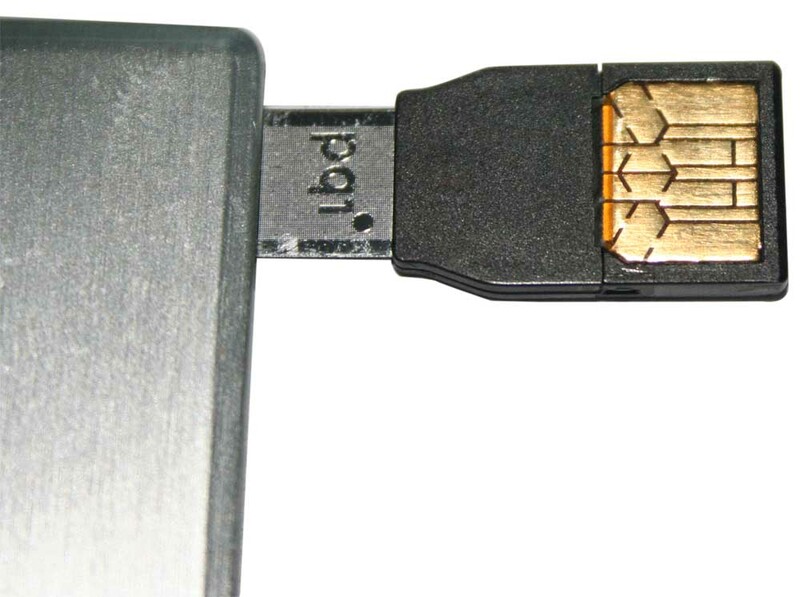 Although flash drives vary in design and storage capacity, the one thing they share in common is portability. 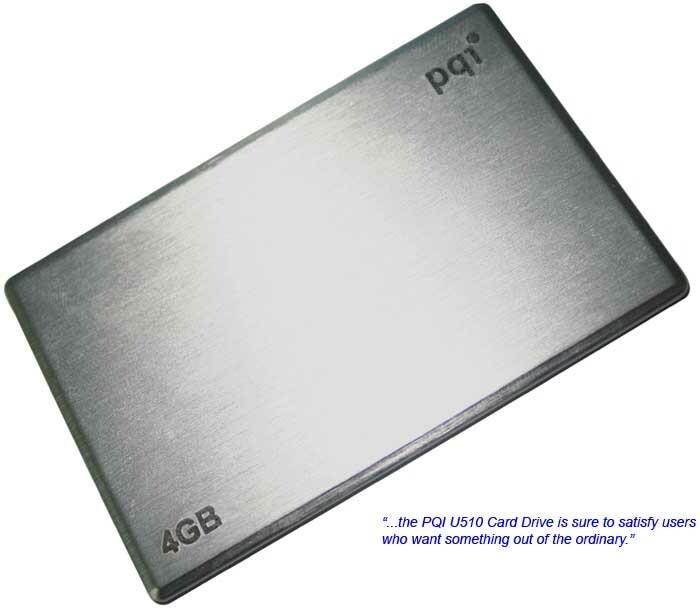 A perfect example of this is the U510 card drive from PQI, an impressively flat and lightweight flash drive with capacities ranging from 1GB to a massive 16GB. 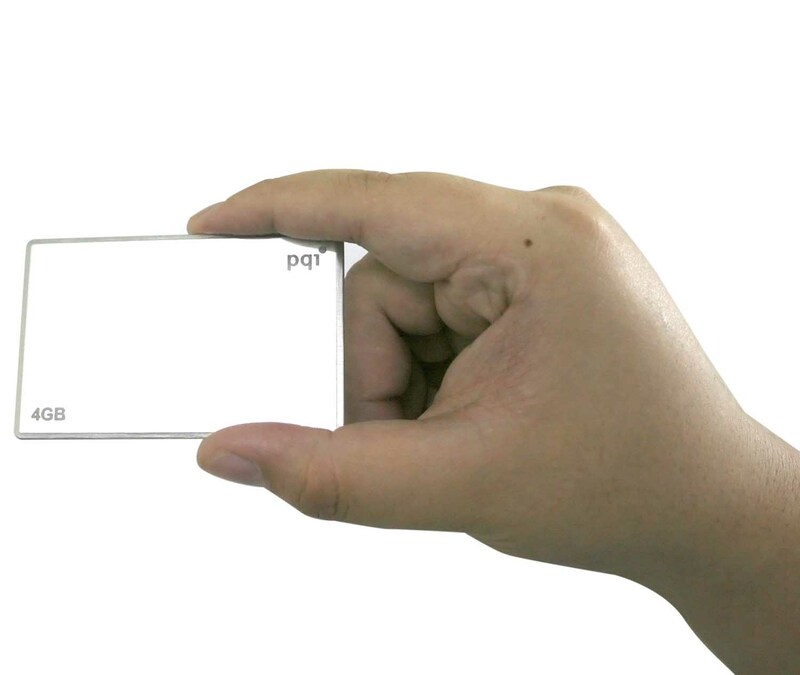 Thanks to its aluminum alloy casing, the PQI U510 looks deceivingly more like a stylish name card case than a storage device. At just 3mm thick and no larger than a credit card, the U510 can be easily tucked away in your pockets to go wherever you go. Clearly, with a wafer thin profile, using conventional USB connectors was out of the question. In its place instead is a thin pliable silver data ribbon for data transfer between the drive and computers, which is indicated by a blue LED light when connection is established. Regrettably, the fragility of the data ribbon means extra care needs to be exercised in the day-to-day handling of the U510 card drive. In a world gripped in security paranoia, the U510 prides itself by offering several layers of security. 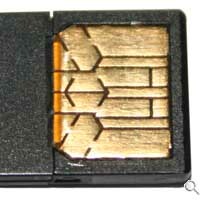 The first of which is a simple PC-Lock security key that works to lock down a computer for a predefined period of time until the card is hooked up again. This may sound like an excellent way to lockdown your terminal while you scoot off for a coffee break but in truth, the application can simply be terminated just as one would with any process under Windows Task Manager. Then there is the Zipper-locker program that serves to encrypt important files on the fly into a zip file that can only be read subsequently. Although files protected using this mode could not be modified in anyway, the utility itself is far too dodgy for any tangible benefit due to the numerous error messages that popped up during our attempts to read encrypted data. On the flipside, the U510 does have a few redeeming applications in the form of Mobile Doc, Mobile Browser, Mobile Email and Sync Center programs. Mobile Doc allows users to access files that are stored or synchronized while Mobile Browser is a portable Internet Explorer that also keeps track of all your favorite sites and bookmarks. Complementing the Mobile Browser is a web account program that enables users to save usernames and passwords of sites they visit regularly for convenience. Mobile Email, as its name implies, is essentially a form of Outlook Express that stores Emails and contacts onto the card drive. 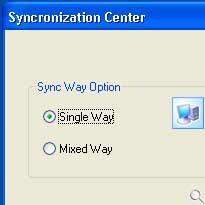 Binding all the abovementioned applications together is the Sync Center. At a mouse click, the Sync Center will bear the load of sending and/or synchronizing data to and fro the PC to the U510 card drive for address books, Emails, bookmarks and folders you intend to backup. As an added flexibility, synchronization of files and folders can be preset to occur after a certain number of days have lapsed. It seems that the pros and cons of the PQI U510 are evenly divided down the line; several niggling issues with the bundled applications had let us to reluctantly discount the portability and quality engineering boasted by the card drive. 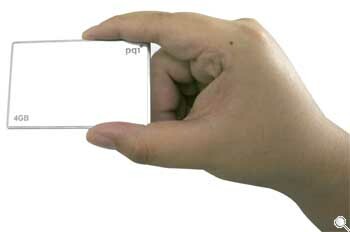 Nevertheless, with its credit card dimensions and a sleek appearance that is topped by a couple of nifty applications such as the built-in Outlook Express and Sync Manager, the PQI U510 card drive is sure to satisfy users who want something more from their flash drive storage devices.